Since LinkedIn was established it has long been thought of as a business networking platform with an emphasis on recruiting. Recently, they have begun making changes that have expanded LinkedIn's purview into being a professional publishing platform as well. This creates enormous opportunities for B2B businesses looking to grow their client list in addition to finding top talent. If you’re a small- to mid-sized business, you may have few established connections. You could spend months making new connections and working on forums to build your footprint on LinkedIn, or you could spend some money and a lot less time to generate quality leads on LinkedIn with this useful guide. Create content that will make the biggest impact and help generate quality leads. 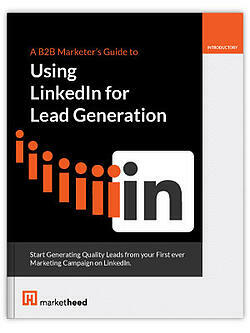 Download this eBook to learn how to start generating quality leads from your first ever marketing campaign on LinkedIn.